It’s not a matter of argument that the iPad is a great device for children. When we were children our parents could read with us before going to bed, and the modern-day equivalent is a father or mother sitting in bed delighting with their sons while leafing through an educational game or a specially crafted book for iPad. 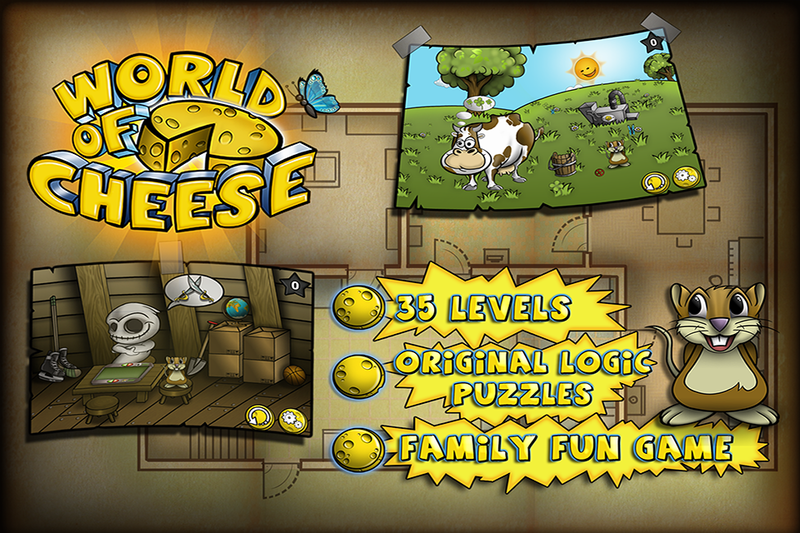 World of Cheese playthrough of levels 1-3 for What’s on iPhone from What’s on iPhone on Vimeo. 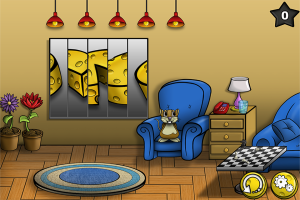 The game is a kind of hidden-object puzzler, where the player has to solve situations (which are not explained) and as a reward they get the cheese to feed Mousey (the mouse that drives the game.) The no-explanation part is what is great: they make you think about it. 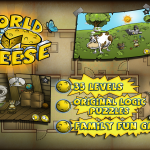 World of Cheese is an ideal game for children. They like this music style (I checked) and sound effects and the drawing style is as cute as it gets. 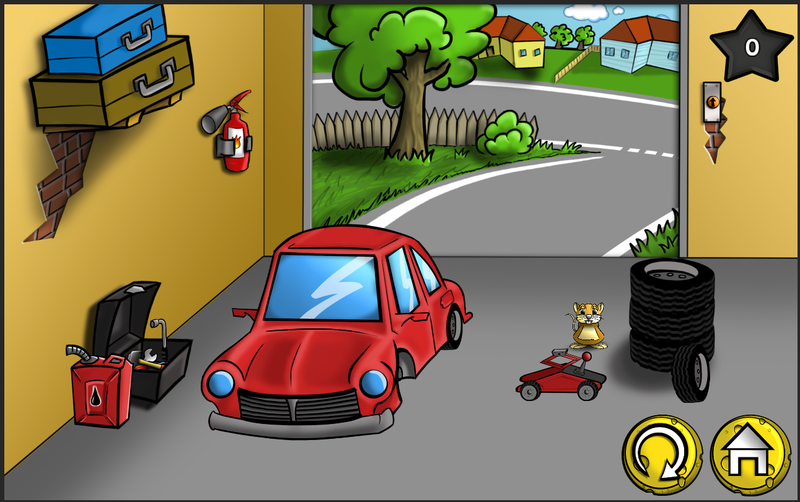 As you can see in the video, the puzzles are within reach of 5–9 year olds with relative ease. 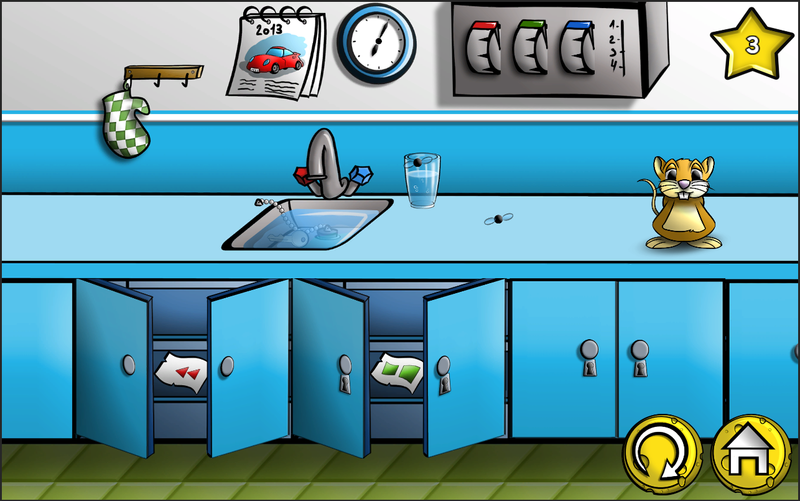 Some of the latter puzzles (available after an app purchase of 0.99 USD or 1.89 USD, it’s currently on sale) are harder, and will probably need a parent close by. Since the game is free to try (the first 10 levels are included for free, and an app purchase gets you 30 more) you can easily check it tonight before bedding your kids and if they get engaged with it, purchase the extra levels afterwards. 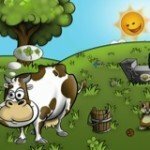 Never, ever let your kids do in-app purchases for you, World of Cheese is harmless (costing you no more than 1.89 USD,) but other developers are not so polite with in-app purchases. 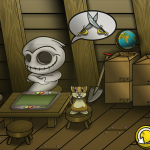 The game has a decent replayability threshold, in that you can earn a minimum amount of taps to solve a level, so your children can easily play through several levels again and again (specially if they have siblings that compete with them.) Even if there was no replayability the game is great for its price, even more if it gets you to spend more time with your children. 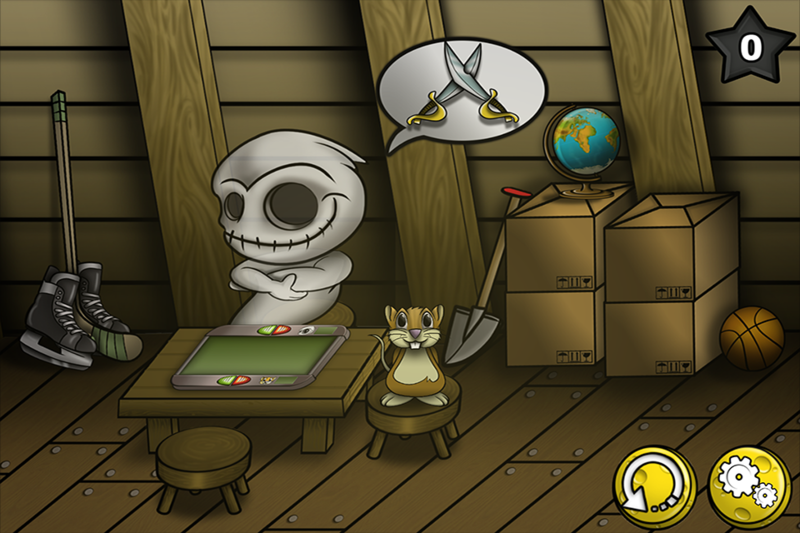 I played through the whole game to see the level of the puzzles, and most of them can be solved by a kid. Some may require an overseeing parent to give hints, but the puzzles have the ideal mix of being easy and encouraging. Ideal bedtime playing, but remember that games should be an excuse to spend time with your kids, not to stuff them away with an iPad! 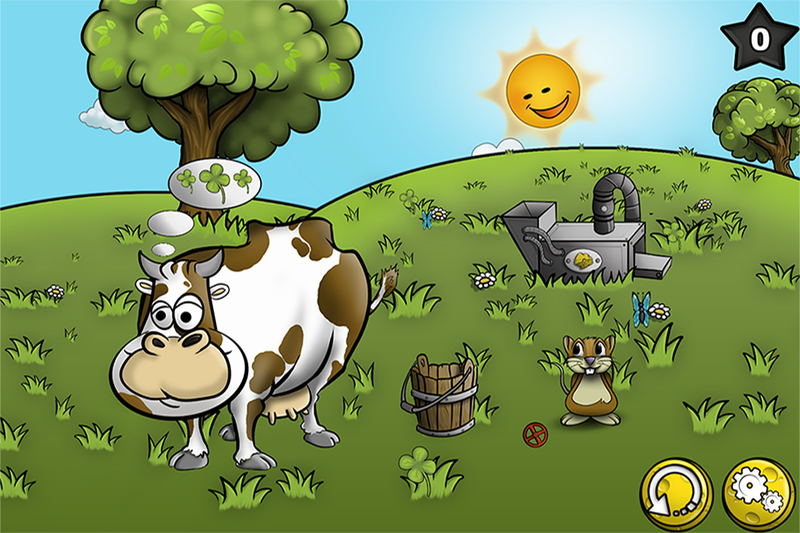 In short: World of Cheese is a great game for children, and a great excuse to spend a little more time with the ones you care most. Meet Mr. Mousey, a proud member of huge mice family. Unfortunately, he is in trouble, bad times have come and stashes full of cheese are suddenly empty! 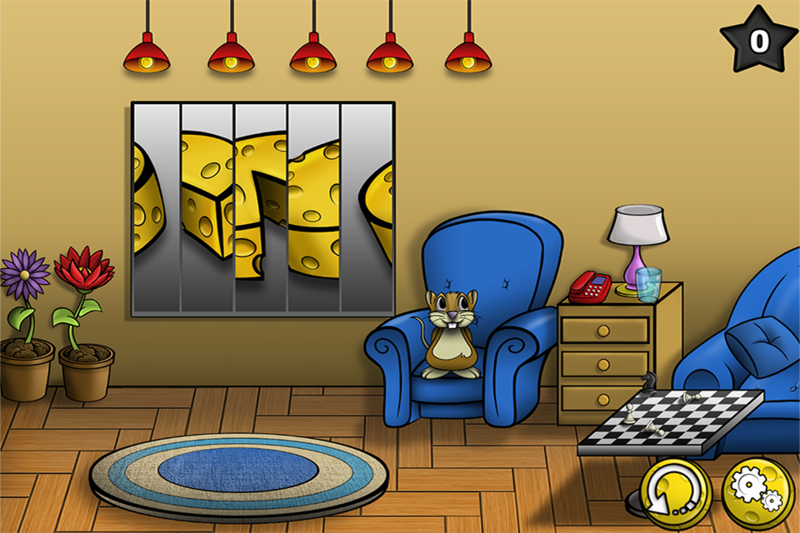 The only way to turn luck on mice´s side is guiding Mr. Mousey through house to look for hidden pieces of cheese. Visit 7 different stages of huge manor, solve the problems in 35 rooms and make Mousey happy by finding a treasure for him. 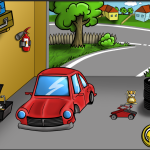 Reveal mysteries in the attic, build your own robot, work on courtyard or repair car in garage, use the bathroom then and prepare some meal in kitchen after calming down the angry dog. And then just have fun in playroom or relax in living room. The cheese can be hidden anywhere! Finding the yellow titbit is not easy, you have to use your puzzle solving skills, ability of thinking in various contexts and making right combinations. Think twice before each tap, accomplish your mission with minimum touches on the screen. Mr. 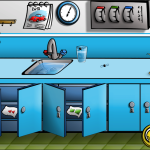 Cheese can teach you little bit about continents, something about engines, how to cook scrambled eggs, how to play chess, how to count, why is garbage separation important and much more. Everything is happening for a reason, just find out!